"May all your troubles last as long as your New Year resolutions"
Christmas & New Year was spent with visiting family and we laughed, sang, partied, ate and drank rather a lot of gin- it was great! If making your own sausages was on your 2017 New Years Resolution list check out my Get Cooking Edmonton class on 1st February. Full details here. Around the blog world the "Kale Brigade" is out in full force; detoxing, resetting, clean eating and being wholesome all over the place! I like kale, I really do but I like it with lashings of olive oil, Parmesan cheese and crispy bacon- I am pretty sure that's not exactly "clean eating" enough for some! I make no excuses. I have no intention of changing anything this year. I like how I eat and drink. I don't need a new year to suddenly try and reinvent my kitchen, if it's not broken don't try and fix it. Everyone has a salad. Yours might be a fully fledged healthy blast from the garden, I like mine with a little deep fried, fatty crunch. A crispy crouton, a salty bite of bacon or a golden brown bottomed, fried egg. 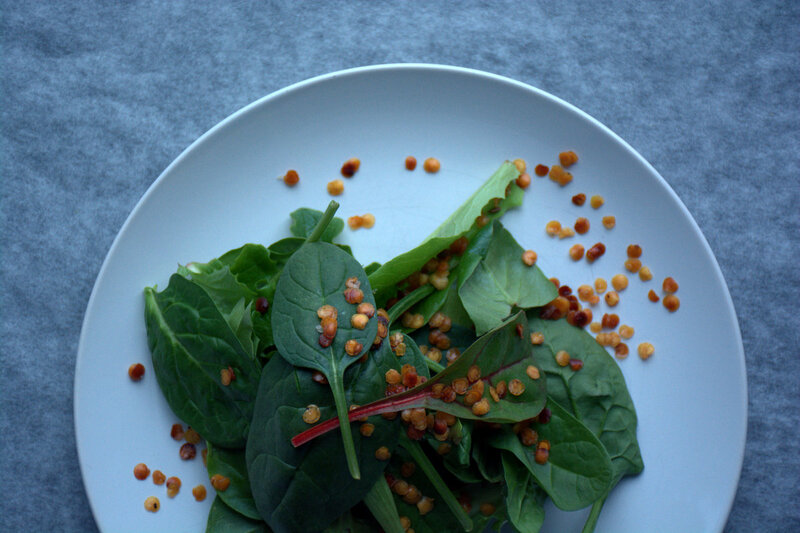 My deeply satisfying Smoked Sea Salt & Cumin Fried Red Lentils are a very welcome addition to my salad line up. 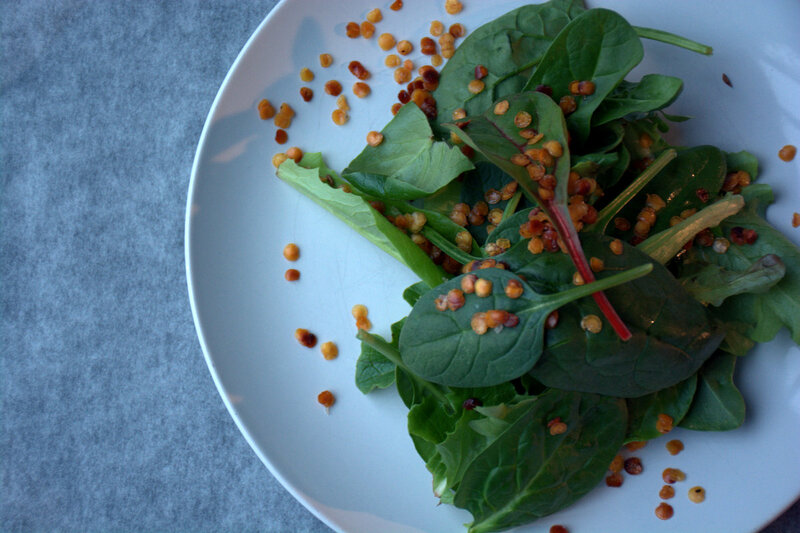 They are earthy, salty, aromatic and above all they remain enjoyably crunchy even when doused in salad dressing. 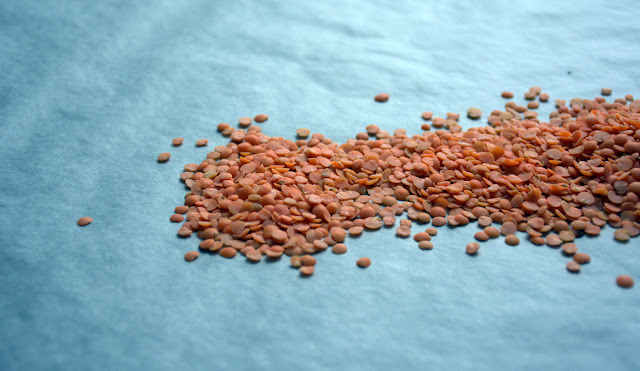 Drain the lentils and dry completely on paper towel. 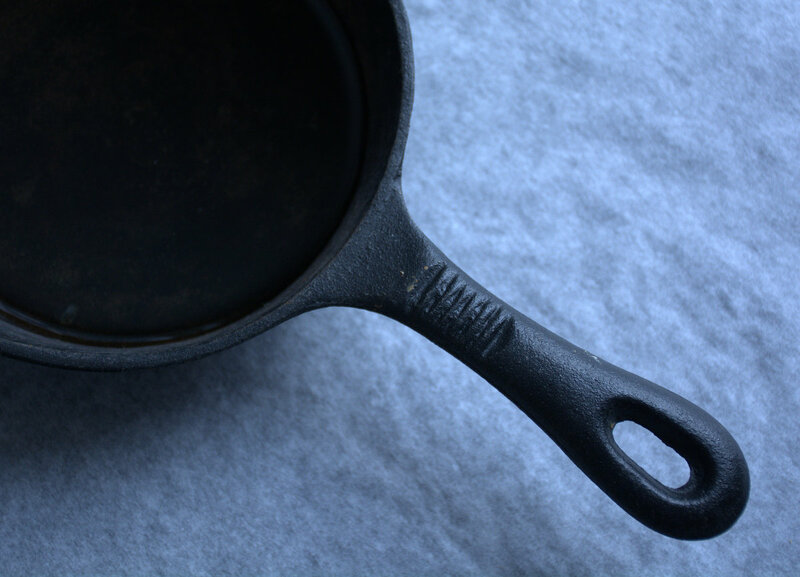 Heat an inch of oil in a deep sided frying pan. Heat the oil till it shimmers in the pan and fry the lentils for 2 minutes. With 30 seconds to go, throw in the cumin. You will hear it pop! 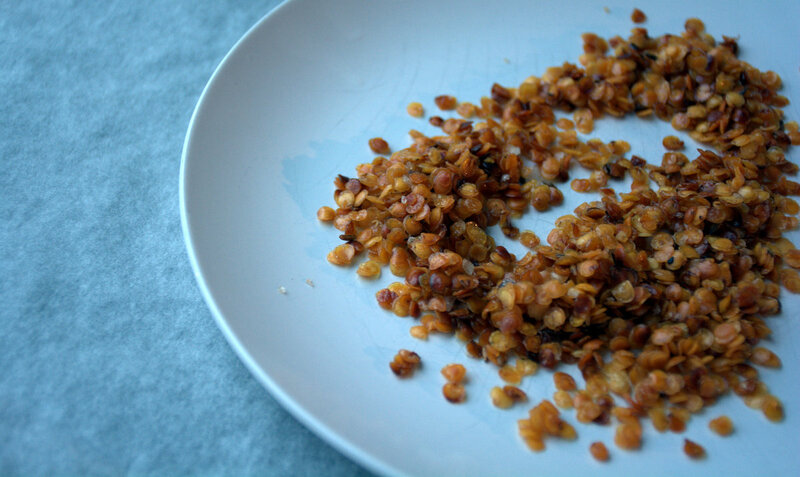 Drain the fried lentils on paper towel and whilst hot toss through the sea salt and black pepper. Enjoy hot or allow them to go cold- they are great either way. Don't forget to check out my forthcoming Get Cooking Edmonton class. We will be making pork sausages and a delicious chicken sausage too! You will be eating some of the sausages with a generous serving of mash and gravy paired with a great cider or beer. You also get to take home some of your sausages so you can brag to all of your friends and family! Full details here.